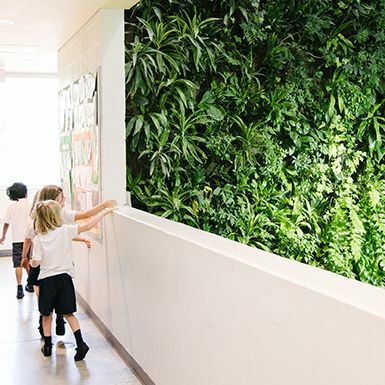 Rising 30 feet high in the air, the Living Wall provides a meditative place for our community and freshly oxygenated air. 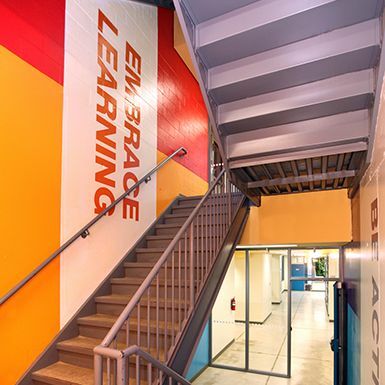 In an artfully designed series of super-sized graphics, the walls and halls have become intrinsic elements of the learning experience. 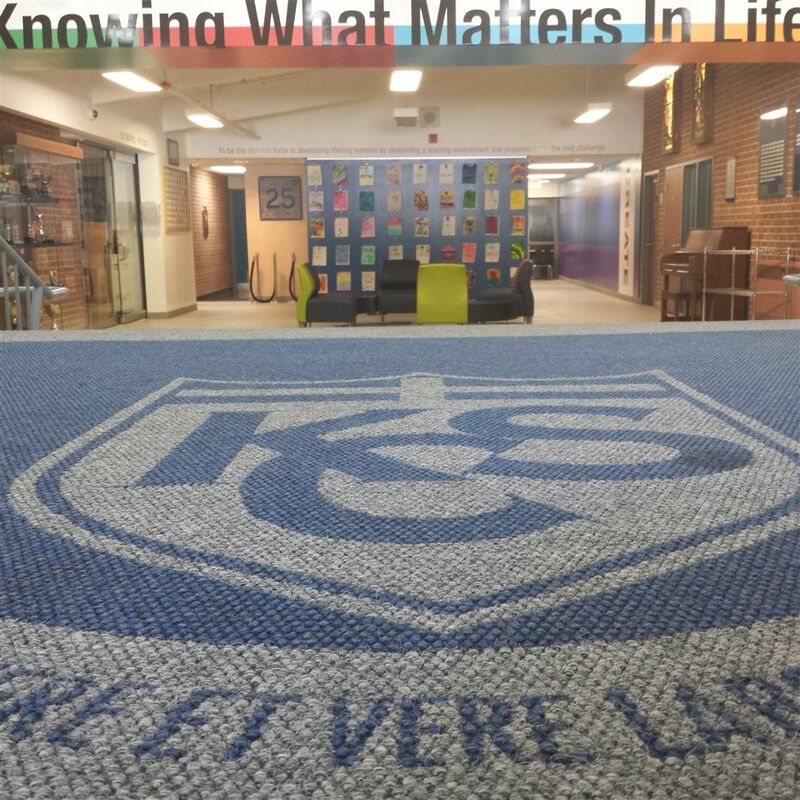 A bright and colourful space that promotes innovative thinking and expression through experimentation and creation. 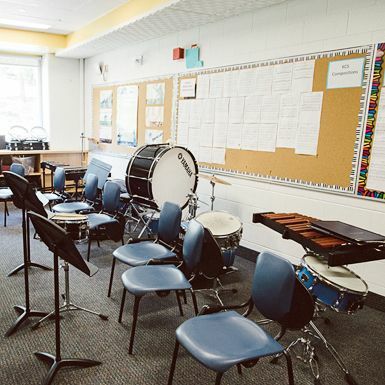 Two large dedicated music rooms provide a recording studio and rehearsal space for the choir, bands, and music classes. 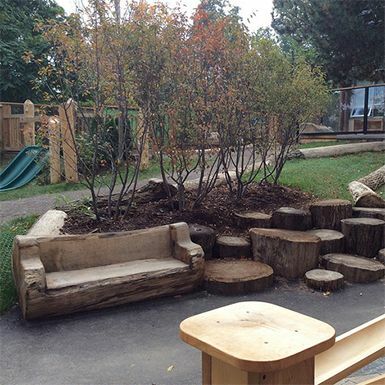 Our award winning Outdoor Classroom brings children back to nature and provides endless opportunities for open-ended play. 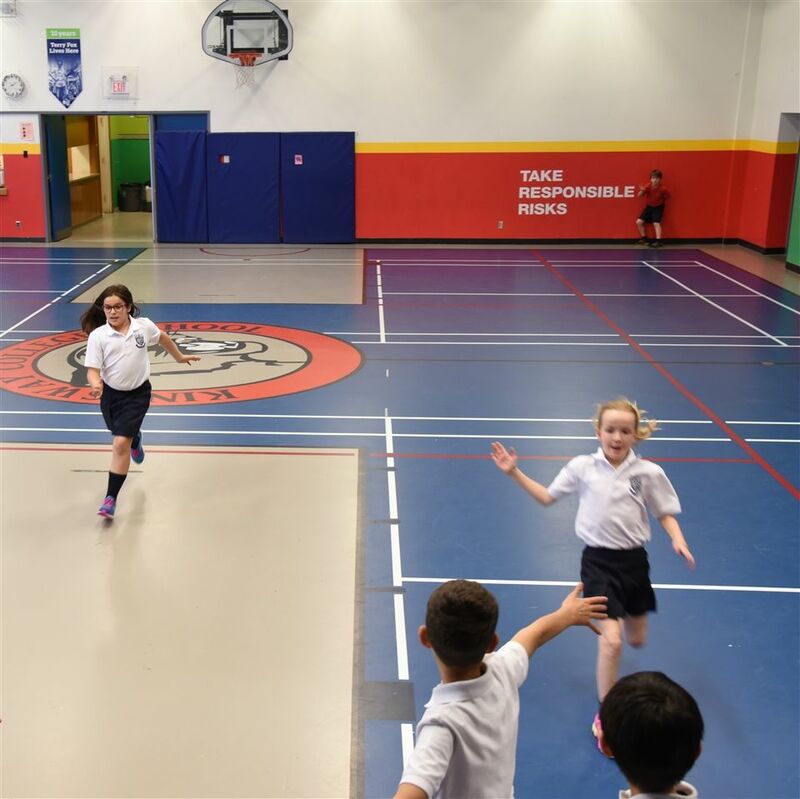 A large space for indoor team sports, exercise, and physical education, as well as theatrical and KCS community events. 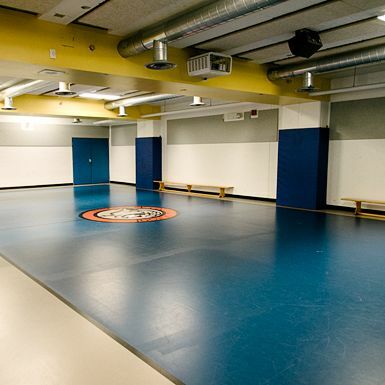 Indoor space designed for multi-use, ranging from JK physical education to special guest presentations. A bright space filled with reading material and resources. 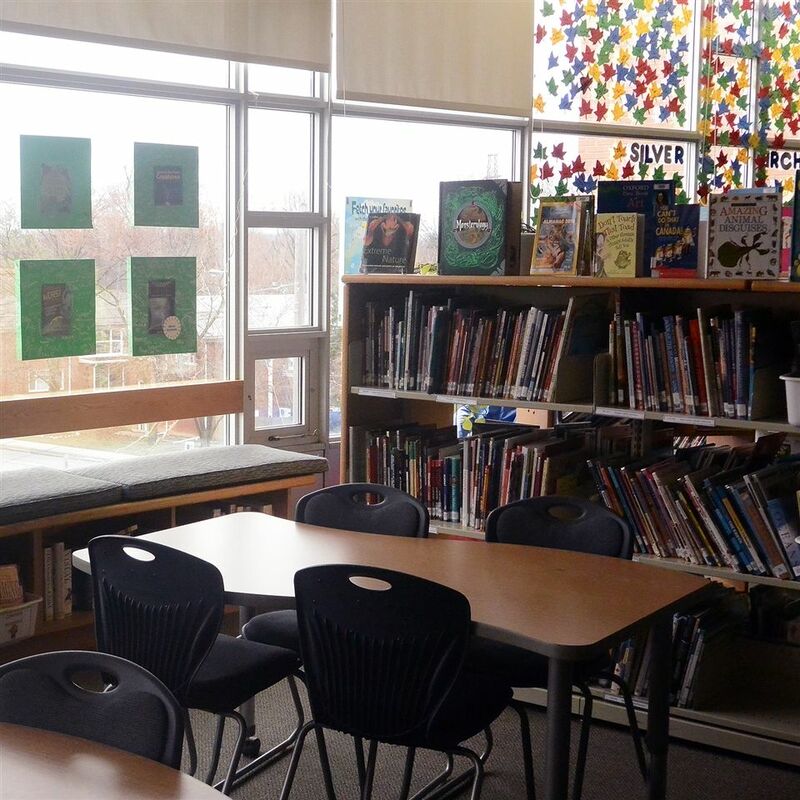 Quiet reading areas, group space, and large tables for collaborative work. 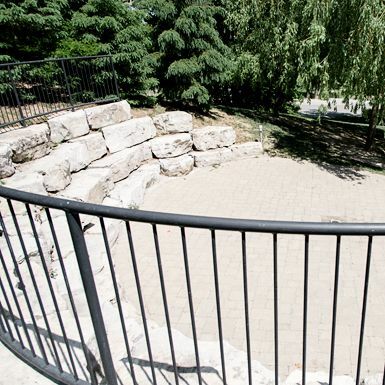 An outdoor courtyard style learning space designed for collaborative brainstorming that brings students outside regularly. 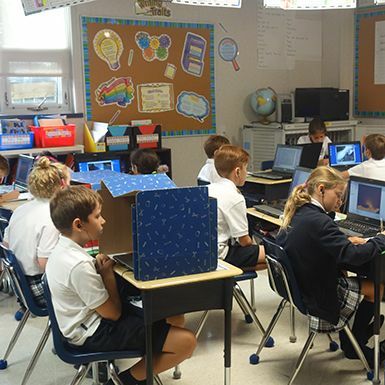 Open spaces throughout the school separate from classrooms. A space to relax, eat lunch or hold informal meetings. 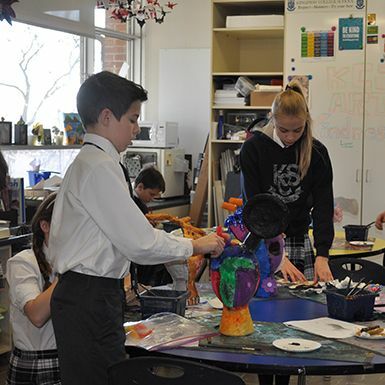 A space where students gather to create and invent. 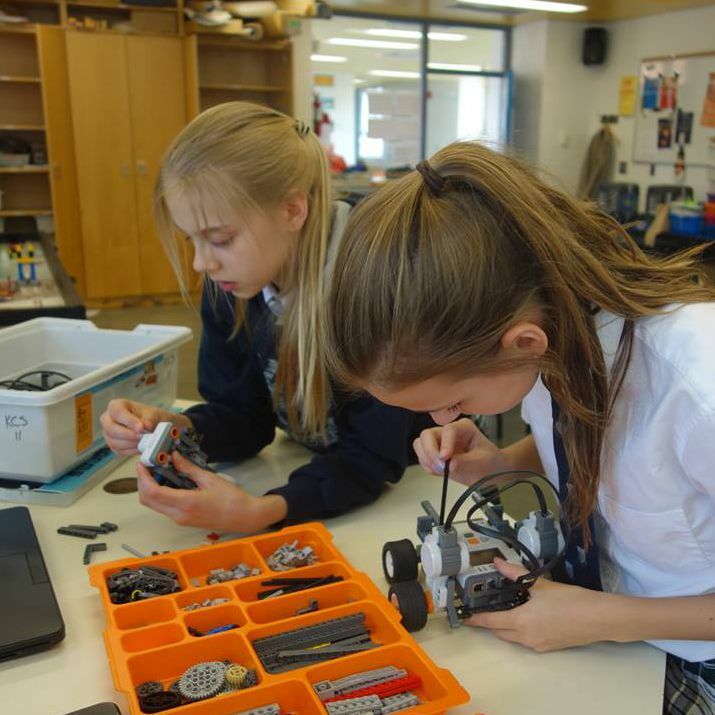 Equipped with 3D printer, electronics, crafts, hardware supplies, and tools. 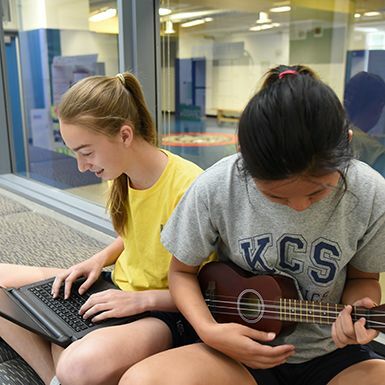 The KCS main lobby is an art gallery, concert venue, service learning zone, breakout space, and a hub for the community to meet. 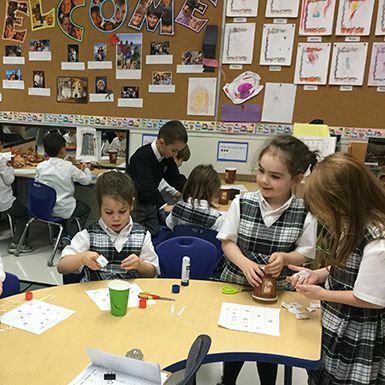 The PK, JK, and SK classrooms are bright, airy, and enriched with visual and tactile learning that's perfect for young brains. The Primary to Intermediate Classrooms are filled with comfortable and flexible seating, bright windows, and air conditioning. 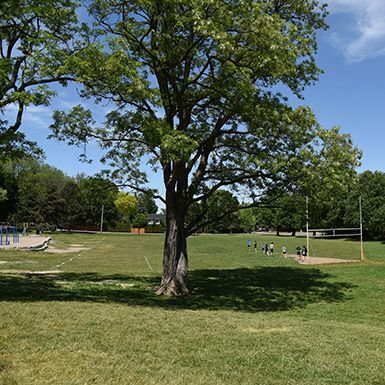 A large green space across the street from KCS with full soccer field, playground, and plenty of quiet places to relax.